A lot of B2B marketers use copy that puts people to sleep. Boring, no personality, loaded with buzzwords. And it’s a shame because your brand’s personality and positioning are actually a really effective way to stand out. 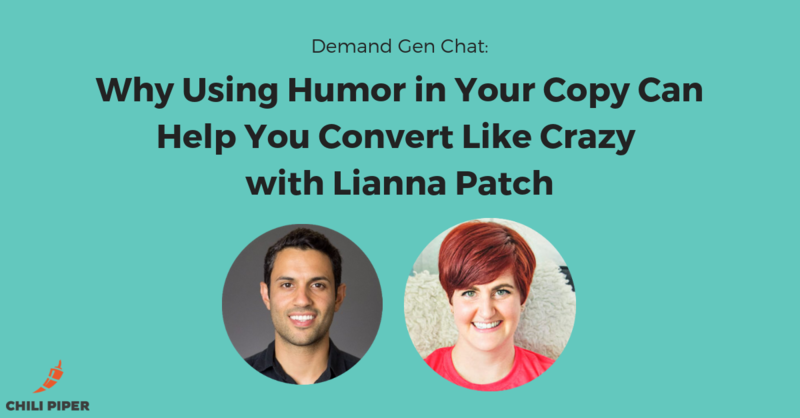 So that’s what today’s episode of Demand Gen Chat is all about – how to inject some personality and humor into your copy with Lianna Patch. If you don’t know Lianna, she’s the owner of Punchline Copy where she’s helping SaaS and eCommerce companies create copy with a sense of humor. This episode was a lot of fun to record – as you can imagine Lianna has a great sense of humor herself, so we had a great conversation.